The authors of the new book From Silicon Valley to Swaziland discuss their encore career in development work, and why they are donating the royalties from their book to TechnoServe. Rick and Wendy Walleigh are the authors of the new book From Silicon Valley to Swaziland, which chronicles their early retirement journey to Africa, finding purpose and adventure through development work. In 2006, after long and successful careers in the high-technology industry, the couple joined the TechnoServe Volunteer Consultants Program (now the TechnoServe Fellows Program) and moved to Mbabane, Swaziland, where Rick helped small business owners grow their companies and Wendy helped launch a youth entrepreneurship program. 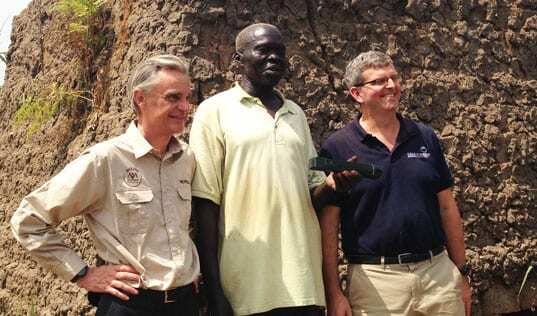 The Walleighs then spent a year working with TechnoServe in Kenya before moving back to Los Altos, California. Today, Rick continues to work part-time for TechnoServe as a senior advisor and Wendy serves on the board of Junior Achievement of Silicon Valley. Rick and Wendy Walleigh: Rick had read A Year in Provence and Under the Tuscan Sun about people going to Europe, eating great food and fixing up old houses. While he enjoyed both books, the lifestyle seemed a little bit indulgent, and he wanted to write a different story about what you can do in your later career or early retirement. Particularly he wanted to concentrate on opportunities and organizations for volunteering abroad with true “giving back” as their main theme, not just “learning” travel. Rick thought our experience in Africa would be an interesting story and that maybe he could inspire other people to do similar things. Q: Why did you first make the jump from high-tech careers to international development? A: Wendy was the first to decide to have an encore career because she got tired of repeatedly selling the latest high-tech product. She transitioned from high-tech marketing to volunteering on a board, to then working in marketing and development for that organization, Junior Achievement of Silicon Valley. When Rick decided to “commercially retire” (a term he invented) he went through an extended process, which is described in the book, to figure out what he wanted to do and settled on helping the poor through economic development. Through that process, Rick connected with TechnoServe who had volunteer opportunities for both of us in Swaziland. That is why TechnoServe’s approach of ... building sustainable market systems is so effective. Q: What was your experience like on the ground as Volunteer Consultants in Swaziland? A: Many people have misconceptions of what living in Africa is like. Because we were working with businesses, we weren’t living in a mud hut in a remote village. In fact our home outside Mbabane reminded us of a rustic vacation cottage we might find in the California foothills. The city of Mbabane where we worked in the office reminded us of a small city anywhere in the U.S. However, there were a number of differences. From a business perspective, everything moved much slower than in Silicon Valley. In the more general environment, rural poverty was very evident just outside the cities. Q: You’ve seen TechnoServe’s work firsthand. Why do you think TechnoServe’s approach is effective? A: TechnoServe’s business-based approach is analytical, well-planned and results-oriented – with which we are comfortable. 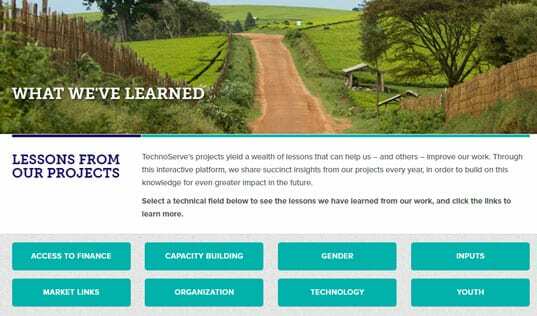 Also, TechnoServe’s results are intended to be sustainable by the people who benefit, rather than needing to be continually supported by outsiders. Q: What do you think are the greatest challenges for people trying to lift themselves out of poverty? A: The vast majority of the world’s poor are smallholder farmers who generally raise just enough to eat or trade for their food. We believe that they truly want to better their lives, families and communities. But the concept of growing cash crops and/or diversity in crops for added income is not intuitive. 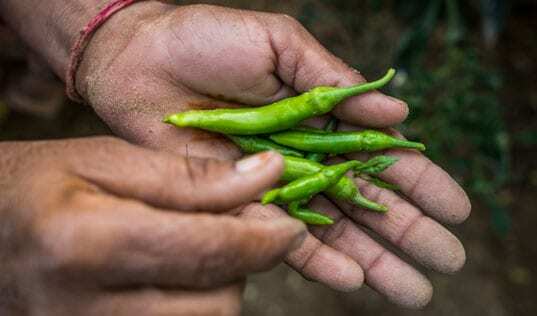 They typically don’t have the knowledge, tools and guidance to do that on their own, nor access to markets for selling their produce or financial support that is usually needed to initially expand their crops. That is why TechnoServe’s approach of training in improved agricultural processes, creating cooperatives for mutual support, providing access to markets and financing – in other words building sustainable market systems – is so effective. Q: Why did you decide to donate royalties from the book to TechnoServe? A: We strongly believe in the effectiveness of TechnoServe’s “business solutions to poverty” so we want to build awareness for the organization as well as provide additional revenue. Buy the book on Amazon to learn more about the Walleighs' inspiring story.